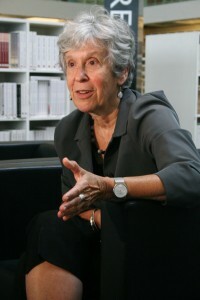 Joan Wallach Scott, the well known historian, wrote a provocative and lengthy essay on the manner in which social historians and many area specialists have mistakenly drawn upon experience as if it was the evidence/starting point for their work (that is, material culture is seen an expression of a prior experience) rather than problematizing how public claims of having had an experience are themselves social and historical products. The essay was published in Critical Inquiry 17/4 (1991): 773-797 and is posted online as a PDF. Those wishing to rethink identity studies will benefit from this essay. Learn more about Scott’s recent book on the politics of the issue of Muslim women and veils here. Next PostNext Why is a Praying Atheist Newsworthy?